In a phase 3 study of cariprazine for the treatment of adults with major depressive episodes associated with bipolar, I disorder (bipolar I depression), positive topline results have been reported. This is the second positive pivotal trial of cariprazine for this investigational use. RGH-MD-54 is a Phase 3, randomized, double-blind, placebo-controlled, parallel-group, multicenter, fixed-dose clinical trial in patients with bipolar I depression. A total of 488 patients were randomized in this study aiming to evaluate the efficacy, safety, and tolerability of cariprazine 1.5 mg/day and 3.0 mg/day compared to placebo in patients with bipolar I depression. Subjects underwent a no-drug screening period of approximately 7-14 days, followed by 6 weeks of double-blind treatment and a 1-week, no investigational product safety follow-up period. In this study, the primary efficacy objective was met for both Cariprazine 1.5mg and 3mg dose groups (p<0.05). Both showed a significantly greater improvement than placebo for the change from baseline to week 6 on the Montgomery-Asberg Depression Rating Scale (MADRS) total score. “There are a limited number of products approved to treat bipolar depression and even fewer products that have been studied and approved to treat the full spectrum of bipolar disorder, from mania through depression. 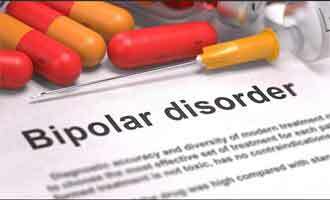 Having another product proven to treat the full range of bipolar disorder would be a welcome addition to the treatment options currently available to the psychiatry community and patients,” said Gary Sachs, MD, Associate Clinical Professor of Psychiatry at Harvard Medical School. “We consider today’s positive results a major milestone in the process of making this promising treatment option available for patients suffering from bipolar depression and also widening the therapeutic scope of cariprazine,” added Dr István Greiner, Research Director of Gedeon Richter Plc. In this study, cariprazine was generally well tolerated. Sedation, somnolence, dizziness, akathisia and nausea were the most commonly reported adverse events (reported with a frequency of 5% or greater and at least twice that of placebo). In this study, 5.0% of cariprazine treated patients discontinued due to adverse events versus 2.5% of placebo treated patients. The company plans to submit a supplemental New Drug Application (sNDA) to the U.S. Food and Drug Administration in the 2nd half of 2018.